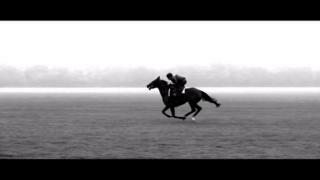 BBC Sport's Joe Wilson visits Treve, the French horse aiming for a record-breaking third Prix de l'Arc de Triomphe, and hears the song penned in her honour. Singer and lyricist Dan Mitrecey has composed the song, which celebrates the achievements of the five-year-old thoroughbred. Trainer Criquette Head-Maarek, meanwhile, says she "always" wanted to join the profession but was advised by her father to "marry a trainer" as there were no female trainers then.